While everyone at Reverb has their fingers crossed for the Cubs’ World Series victory prophesied by the film, we’re more than stymied by the guitar Marty used for his madcap rendition of “Johnny B. Goode” at the high school dance in the original film. In that famous scene, Michael J. 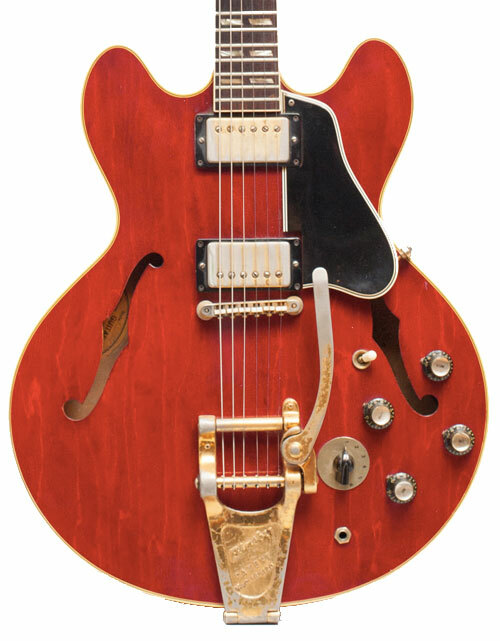 Fox plays a guitar that didn’t exist in 1955: a cherry red Gibson ES-345 TDC with Bigsby, a model only made available in 1959, according to the “Vintage Guitar Price Guide.” So how did the movie seemingly blunder such an important detail in such a pivotal scene? Norman Harris, owner of the iconic shop Norm’s Rare Guitars and the man who rented the guitar to the production, gave us the lowdown on how the axe made its way back to the mid ‘50s. 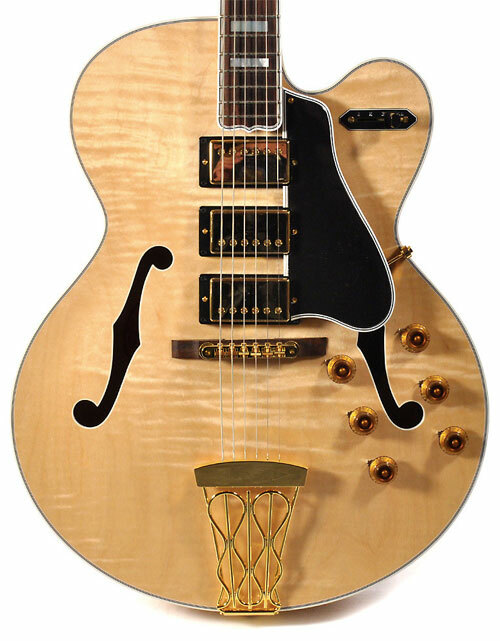 The guitar, which had a price tag of $2,100 at the time, was in excellent condition and the propmaster was happy to rent it for $300 a week, he recalls. The plan was for a one or two week rental, but that stretched to nine weeks, and the studio had yet to open the case. Harris suggested they would be better off buying the guitar at that point, but the propmaster assured him that wouldn’t matter, and that the film had a large budget. And then they changed their minds. Having made the decision, the 345 then sat unused for weeks, racking up more rental fees for Norm’s, which left the studio team completely unfazed. “They could have bought it several times over, but it never bothered them. One of the many positives renting to Hollywood? Money’s no object.” Weeks after they returned the guitar, Harris received another call from the studio requesting the 345, which they needed again for inserts and close-ups. They kept for another three weeks. Despite the time-travelling 345, Harris is responsible for prior efforts to use period-correct instruments in the movies, perhaps most notably in the the 1975 film “Bound for Glory,” the fictionalized biography of Woody Guthrie, which featured period-correct instruments selected by Harris. Thanks to Norman Harris for this story. Norman owns and operates Norm’s Rare Guitars based in Los Angeles. His new book, about the stories of rare guitars such as this one, will be published by Hal Leonard and released in early 2016.